Hi, Leeanne here! 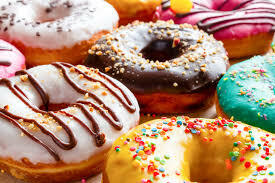 Aside from being a popular treat in the break room, donuts bring a lot of value to the workplace. You’re probably thinking to yourself, how can a donut impact office dynamics? Before you decide between sprinkles and glazed, let’s think for a moment about the donut conceptually. A donut is comprised of a large circular outside and a hollow smaller inside. I recently attended a training entitled “Donuts and Disasters,” and since then, the donut mentality has positively shaped my reactions in situations. Before this training, and still a learning process at times, I would take many situations personally that were out of my control. Going back to the donut, the small circular inside represents your core responsibilities. 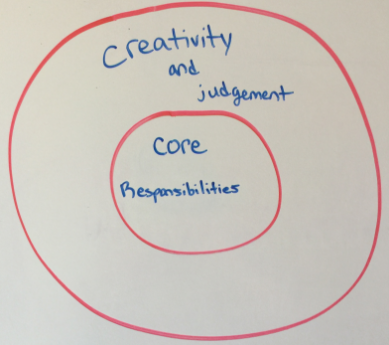 The larger circular outside represents room for creativity and judgement. The great thing about the donut is that it can be related outside of the office setting, practically to anything. On the phone with my best friend the other day, I gave her advice of “not getting frustrated because it was outside of her donut.” Perhaps it is because I like donuts, but this analogy has stuck with me. It is easy for anyone to have plans A,B, and C prepared and when they are not successful because of external factors outside of one’s control, to get upset and frustrated. The important words there are “outside of one’s control” or outside of one’s donut. This sweet treat can help transform how effectively and efficiently employees work. By not focusing on external factors, people can spend more time expressing creativity and judgement with their core responsibilities. So, the next time you find yourself in a situation where things didn’t go as planned, remember the donut. And hey, while you’re at it, maybe enjoy one of those delicious treats too! Thanks for reading!